If you are keen on sailing yachts, sailing and races, you build your own sailboat or want to buy-sale the yacht or sails, you've come to the right place, the amariner.net yacht site I created and run it for you! 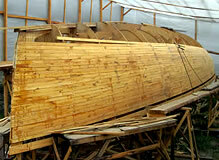 I built my first boat 30 years ago. That was a simple windsuft board. Then I took part in couple yacht building projects, sailed aboard my friends' yachts and finally in 1990 I decided to design and build my own yacht myself. I have done it in 5 years. 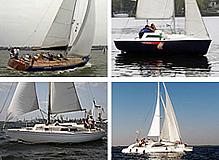 I have been exploiting my yacht "Mriya" (9.0m) for plesure sailing and sail races in the Black Sea region successfully. Which intersting and useful things can I find in this site? Sail producing and repairing Do you need the sails? Welcome to our sailmaking workshop UA SAIL. 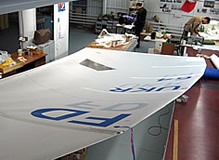 Our sailmaking skills has constantly been developing and new methods of design and sailmaking were applied in industry. 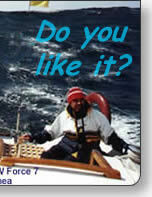 Welcome to my sailing yacht site. Initally I run it as my personal yacht site to introduce you my handmade yaht Mriya I built myself. Further I found that peole need more useful information about sailing, sailboat, yacht design, yacht building and everything related to yachting. 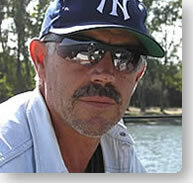 I develop site, make it wider, include yacht shop, sailmaking service, many articles and custom yacht designs. look at it and make feedback.